Turning vision into reality takes work—that much is obvious. But anyone who has written a proposal of any sort will realize that a coherent vision doesn’t appear out of thin air. It must be carefully crafted from an initial collection of goals, ideas, and ideals. This year, GSA’s staff, leadership, and membership are working hard together to reimagine the Society and hone a vision for the coming years. Following the productive brainstorming at our Blue Sky Meeting in May, the GSA Board of Directors met in June to begin turning the vision into reality. An essential part of that strategic planning process is understanding the needs of our community. Our survey of nearly a thousand scientists and the Blue Sky participants taught us a lot about what you’re concerned about and how you think GSA can help. Despite the diversity of viewpoints and situations, there were three concerns shared by a large majority of participants, regardless of career stage: research funding, the current political landscape, and the public’s value of science. Among other insights, the survey also painted a picture of a pressure-cooker atmosphere among students and postdocs. This is perhaps reflected most starkly in the fact around a third are extremely concerned about their mental health. Although this might all sound depressing, we know there are good reasons why people keep working despite these concerns. To get at some of the positives, we asked what excites you most about your work. 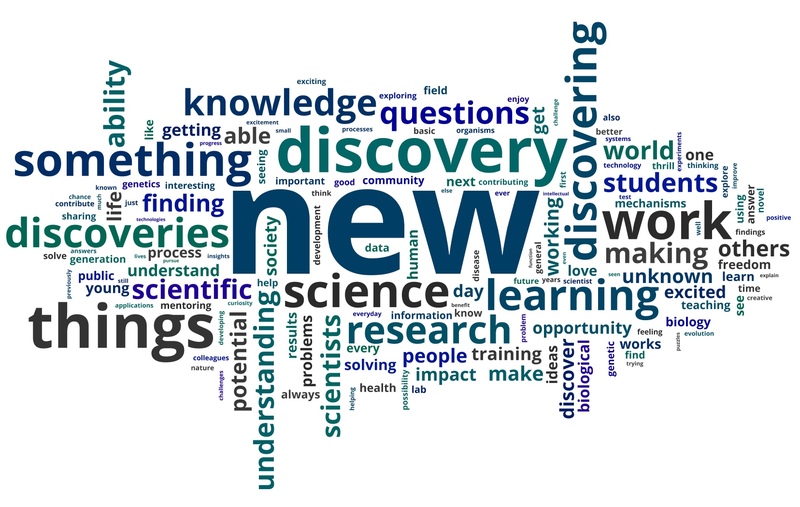 Most of you—a diverse group—gave a small set of related reasons: you are most excited about learning, discovering, sharing, collaborating, improving lives, finding disease treatments, developing tools, conserving the environment, mentoring, and training. Promote diversity and inclusion in our field. GSA’s new Early Career Scientist programs, led by Director of Engagement and Development Sonia Hall, have been highly successful and fulfill a clear community need. These include the Early Career Scientist Leadership and Professional Development Program, the GENETICS Peer Review Training Program, New Faculty Forum, poster viewing invitation initiative, and more. There is also interest in programs supporting members in mid- and late- career stages. There was particular concern about the funding difficulties of mid-career researchers, but also discussion of ways for retirees to remain engaged with the community. Building on the hard work of our Early Career Scientist Diversity Subcommittee, we are forming a regular committee dedicated to researching and implementing meaningful diversity and inclusion initiatives. We are revising our conference code of conduct and investigating best practice in this area. We are forming a Conference Childcare Committee to ensure caregivers are supported at GSA Conferences. We need to find new ways to empower our members to join in with our advocacy efforts, to engage effectively with the public and policymakers, and communicate the value of their research. GSA needs funding to implement the new vision and ensure its programs remain financially viable. We are therefore currently drafting plans to expand fundraising efforts within the society. Last but not least, we believe that GSA should represent all of genetics and will thus be working to strengthen the representation not only of experimental organisms (the traditional “model organisms”) but also of agricultural species and species of ecological value. Clearly, there’s a lot to do! I’m looking forward to the next half year to codify these principles and begin constructing the path to a sustainable GSA that will represent and advocate for all geneticists at all stages of their careers.